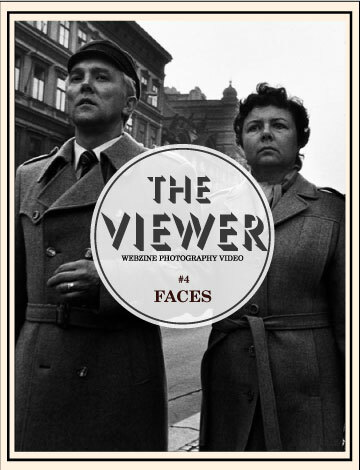 The Viewer revient avec Faces en propose un numéro éclectique dans ses choix et dans ces médiums. A l'occasion de cette sortie, une soirée de projection est organisée à PhnomPenh, au Cambodge, grace à l'agence Melon Rouge et à Nicolas Havette. Pour cet événement The Viewer s'est associé à Olivier Toulemonde, Agnès Palier et Arnaud Paquotte qui ont réalisé la musique du diaporama. 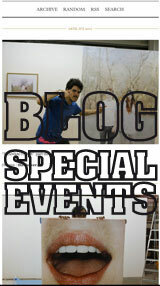 Couverture #4: Keizo Kitajima with the courtesy of Rat Hole Galerie, Tokyo. The Viewer comes with Faces, an eclectic issue in its choice and in the mediums. The Viewer presents the work of Keizo Kitajima, Laurent Champoussin, Rebecca Diaz, Lea Golda Holterman, Joni Sternbach, Delphine Manjard, Christian Faur, Justine Pluvinage. For this output, a screening night will happen in Phnom Penh, Cambodia thanks to Melon Rouge agency and Nicolas Havette. For this event, The Viewer joined Olivier Toulemonde, Agnès Palier & Arnaud Paquotte who directed the music for the slideshow. Cover #4: Keizo Kitajima with the courtesy of Rat Hole Galerie, Tokyo.